In this quote, Dula Ngurruwutthun reflected on the significance of painting and the tradition of making the paintbrush out of several strands of human hair. Completed days before the artist’s death, Untitled , 2001, is layered with meaning referring to the ancestral story and depiction of saltwater country. The painting is also imbued with a poignant reflection on mortality. Dula has painted his own essence into his depiction of the spirit bones of Mirinyungu, the ancestral whale. In Wangarr times, Mirinyungu lived in the ocean at Yarrinya in Munyuku clan country. The whale’s ‘brothers’, Munyuku spirit men, killed Mirinyungu with garapana (stone knives), severing the tail and cutting the body into long strips, contaminating the beach. The bones of Mirinyungu – that is, its essence or soul – are said to have become part of Garapana, a sacred rock in the ocean. Consequently, the character of the salt-water at Yarrinya, represented here by the miny’tji (sacred clan designs), is ‘rough with the odour of death hanging over it’. In this bark painting, the bones occupy a sea composed of radiating waves of dotted miny’tji traversed by mysterious currents. In reality, Garapana, a dangerous, forbidden place, lies below this water. Here, it is revealed on the surface of the water, as a strange, anthropomorphic arrangement of whale bones. An additional layer of meaning is Dula’s identification as a Munyuku clan member, with custodianship responsibilities at Yarrinya. Dula painted for an outside audience from the early 1960s. He was the son of Djimbaryun and the brother of Gambali Ngurruwuthun. 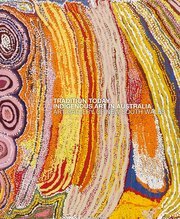 The three men were djirrakay, or ceremonial specialists, for both Dhuwa and Yirritja people in north-east Arnhem Land. Dula performed an essential role in education and ceremonial business for both moieties. 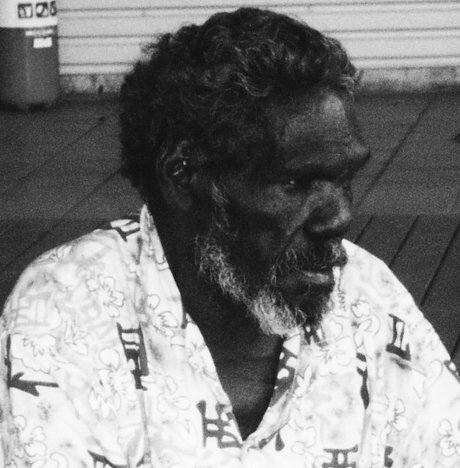 He advised on the development of the major exhibition, The Painters of the Wagilag Sisters Story 1937–1997 , held at the National Gallery of Australia, Canberra, in 1997, and on the collection and exhibition Saltwater, Yirrkala Bark Paintings of Sea Country , at the Australian National Maritime Museum, Sydney, in 2000.